first, I'll show you how I made this super simple flower! 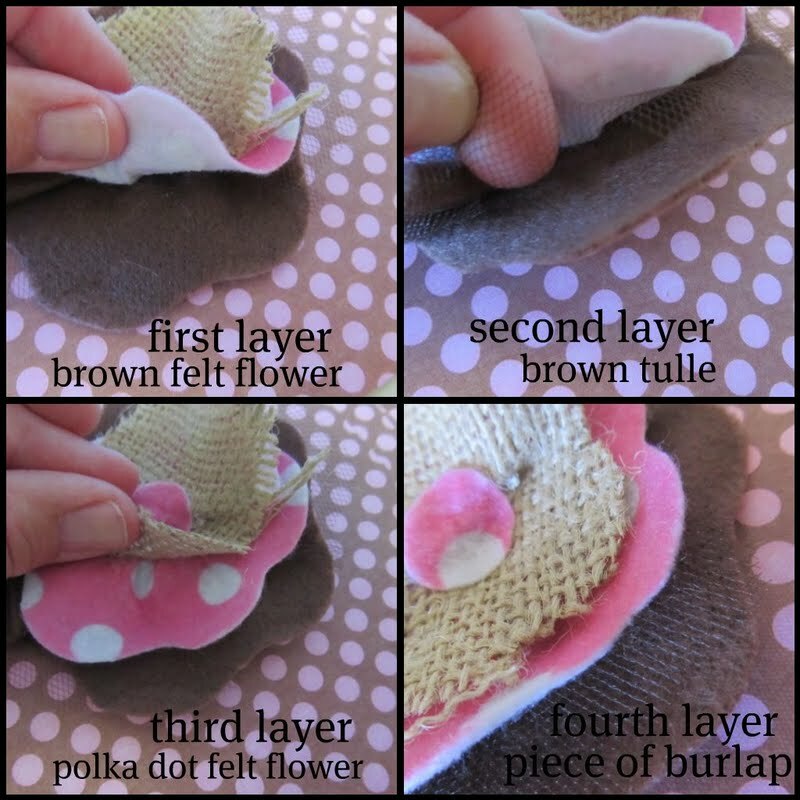 hot glue all of the layers as you go, add a polka dot on top... done! I added brads on each corner of each piece of scrapbook paper on ALL sides of the box. I added a few little signs to the box to personalize it and hot glued the flower on. Now we have something super cute to put our Personal Progress treats in... my girls will be happy! You could do this same thing for chore treats, good behavior, a gift box, anything! So cute! I love all the layers! Hope you had a great weekend! You make the cutest things for your YW! I wish i was in YW just so i could make these things....actually maybe i shouldnt wish that lol:) Good Job! Sweetest box ever! I love the burlap added to your flowers! So adorable! Love this idea! Aim in YW too and I am totally going to use this idea. One question, how does you coupon thing work? Thanks for sharing! Love it! That is way cute!